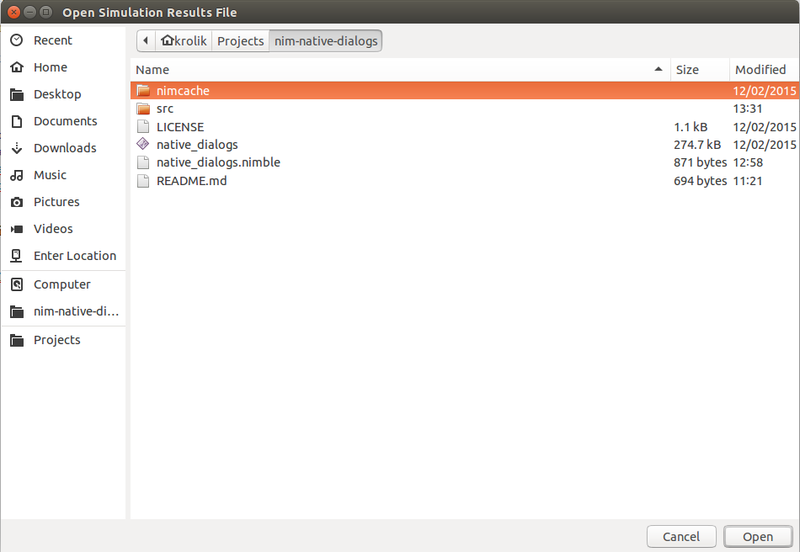 With this short post I'd like to introduce you my small Nim language package called native_dialogs which is intended to implement framework-agnostic way to call underlying operating system file save/open/etc. dialogues. From my experience it is always quite a pain for cross-platform GUI development to implement file dialogues, and both approaches: native and custom dialogues are used from framework to framework. 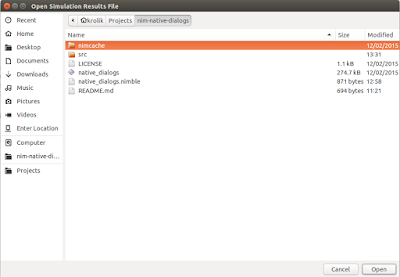 Anyway, this small lib allows you to use file dialogues with a GUI framework of your choice as simple as withing small command-line applications or automation scripts. For now (version 0.1) only single-file dialogues are implemented, which is still very useful at least for our development team.